Donations by a “mystery” Teesside business owner have now topped more than £250,000 following his latest donation for the most disadvantaged families and charities. The donations have been made to charitable movement Teesside Philanthropic Foundation by a wealthy but big-hearted business leader who wishes to remain anonymous. And, thanks to the increasing success of his Teesside business, the entrepreneur’s donations are getting bigger every year. A generous group of more than 50 successful Teesside businesses and wealthy individuals band together to each annually donate between £2,750 and £5,000 to the Foundation. But the mystery donor – described as “inspiring” by the charity’s chief – is comfortably the Foundation’s biggest financial supporter. He initially incentivised the Foundation to raise as much money as possible by saying that every 12 months he would give 10% of whatever amount the charity raised. After donating £16,000 in 2012, he has increased his donations year-on-year before most recently signing a cheque for a whopping £70,000. Andy Preston, the Foundation’s delighted founder-chairman, said he is always moved by the anonymous donor’s generosity. He commented: “Many people go through life doing the minimum, whether that’s the hours they spend at work, their efforts to get fit or the help they give in their community. “Our generous anonymous donor is an inspiring example of someone doing something he doesn’t have to do and gets nothing out of, other than the knowledge and satisfaction that they’re doing some good. He added: “Every one of our patrons is generous in making donations. “But, as our biggest donor, our unnamed benefactor is now a cornerstone of this movement as we all fight for Teesside together. When the Philanthropic Foundation succeeded in increasing its first year’s £160,000 to more than £230,000 by 2015, the benefactor held true to his promise and made further donations representing 10% of the charity’s annual income. 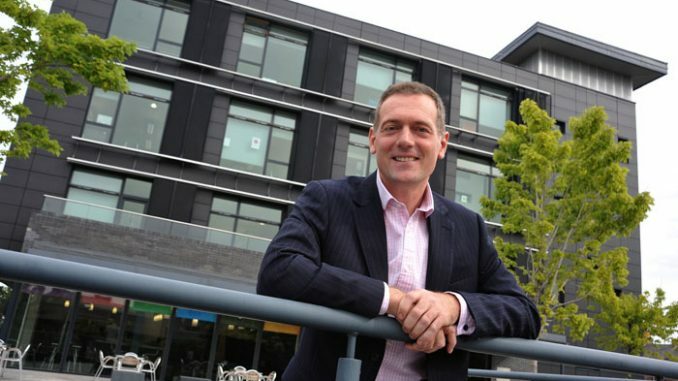 But his last two donations have been purely based on the ongoing success of his own Teesside business and his family’s belief of giving back to the community that supports his company. Andy Preston added: “There’s something quite magical about the Foundation. It isn’t the size of the cheques we’re writing, it’s the way people are coming together. The charity said the money would go towards helping continue its work in support of such projects as its Schools Hardship Fund and caravan holidays for some of Teesside’s most disadvantaged families. The foundation’s generous corporate patrons include Middlesbrough FC, AV Dawson, Active Chartered Financial Services, Devereux, Vitality Dental Care, Baldwins, Archers Law, Hambleton Group, ArtAV, The Keys, Endeavour Partnership, The Build Directory, Cleveland Cable Company, px Group, Cool Blue and Erimus Insurance Brokers. Individual patrons include Andy Preston, Rob McLaughlin, Barney Ord, Bill Scott, Simon Scotchbrook, Ian and Adrienne Stark and the Sizer, Stephenson and Smith families.